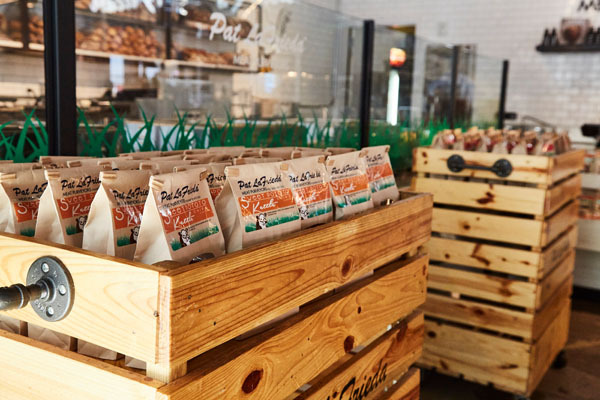 The Pennsy Food Hall is excited to announce its grand reveal on Monday, July 17. 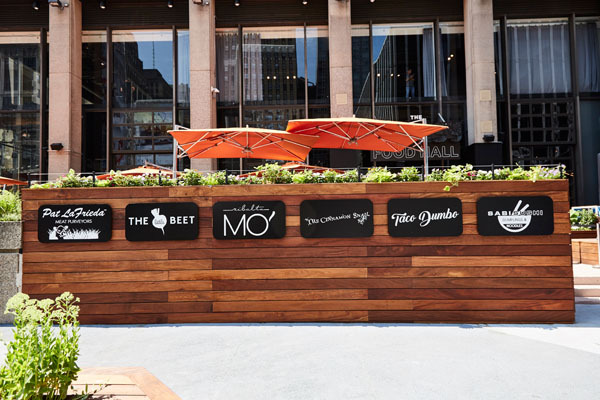 Located in the heart and soul of Penn Plaza, the refreshed food hall seeks to create a social hub of food, entertainment and bar programming for local businesses, commuters, families, neighbors, tourists and fans at Madison Square Garden. 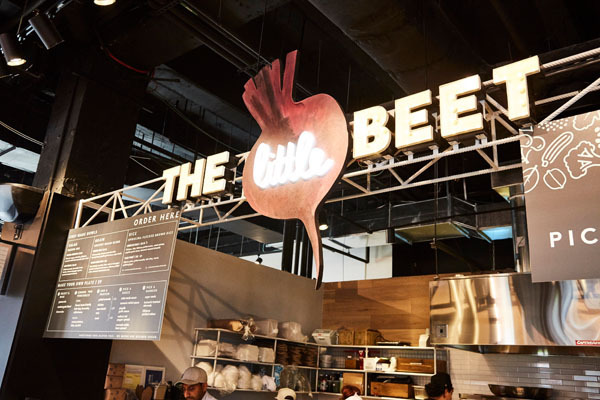 Intended to spark the revitalization of one of the last great neighborhoods to go under transformation, The Pennsy Food Hall closed in June to renovate, revamp and expand. 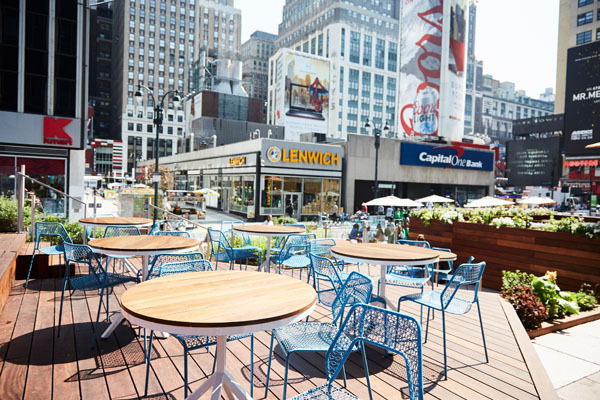 Unlike other food halls in NYC, The Pennsy will offer a new extensive bar concept with table service, the largest outdoor seating patio for a Food Hall in New York, and curated live music. Expanded food and beverage options will also be available to answer the demand of the underserved Penn Plaza District. Vendors have lined up to be a part of this burgeoning neighborhood, setting up kiosk-style food booths with new menu concepts and exclusive offerings including: Pat LaFrieda, The Little Beet, Cinnamon Snail, Taco Dumbo (new vendor), Ribalta (new vendor), and Sabi Sushi (new vendor), bringing quality and approachable options for lunch, dinner, tailgating and commuters in and out of Penn Station. 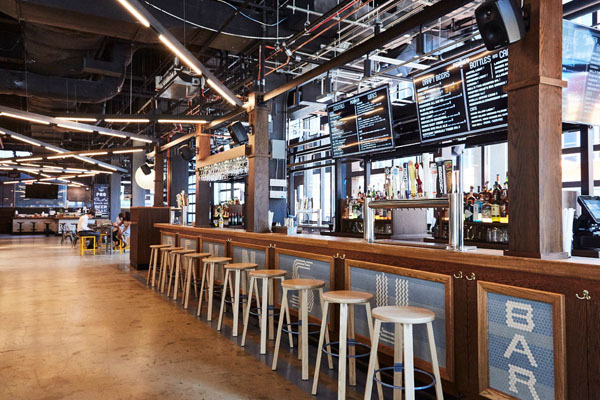 The Pennsy Bar, operated by HPH (Pier A, Le District, Dead Rabbit, Ulysses), is a new high service concept with an expanded, floating bar designed to accommodate the Madison Square Garden fans and featuring 48 taps of seasonally rotating beers, ciders, cocktails and wines. The bar will open up to the outside via industrial garage doors overlooking an outdoor patio, where patrons can enjoy live music, DJ’s, 14 HDTV’s and entertainment programming. 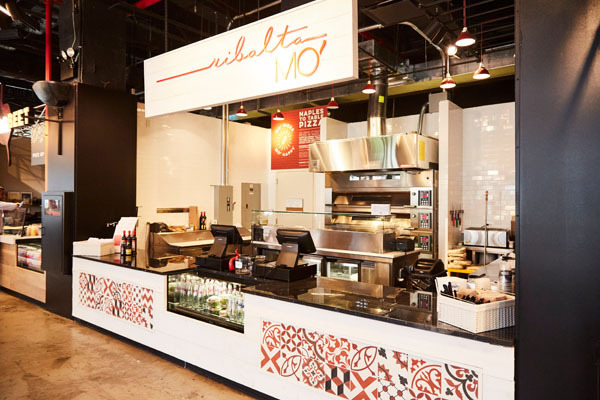 Owned by Vornado Realty Trust, the evolution of The Pennsy Food Hall offers a 5,300 square foot outdoor patio with 380 seats and 150 seats inside. The Pennsy will be open 7 days a week from 11am – 2am.